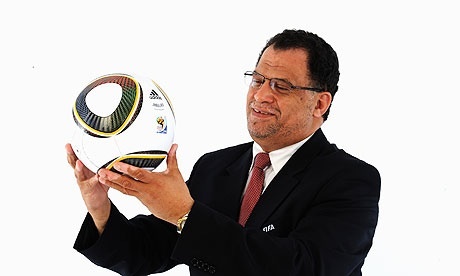 Danny Jordaan says his new mayoral position and being SAFA boss do not clash. After the announcement by the ruling African National Congress (ANC) on Monday that the standing president of the South African Football Association (SAFA), Danny Jordaan would be replacing the mayor of Nelson Mandela Bay in the Eastern Cape, there have been much criticism levelled against this move, particularly by members of the opposition political parties, who say that if Mr Jordaan wanted to become mayor, he needed to step down from being the presidency of the top football governing body in the country. Jordaan has,however retorted that he is not intimidated by the calls and has reiterated that there is no conflict of interest in the two functions. In his response to the barrage of attacks about his appointment as Mayor, Jordaan said that he found it nonsensical that there could be conflict of interest in his two portfolios. He further argued that his role at SAFA was that of advisory and that SAFA were not paying him. He added that he was working part time only at SAFA and emphasized to his critics that he would not be leaving his position there. On another note, the former General Secretary of the Congress of South African Trade Unions, Zwelinzima Vavi has come out in strong support of Jordaan’s appointment, saying that he should focus on rooting out corruption. “He must get those who created corruption in prison, the tenderpreneurs and those who have completely killed the credibility of the ANC,” Vavi said.